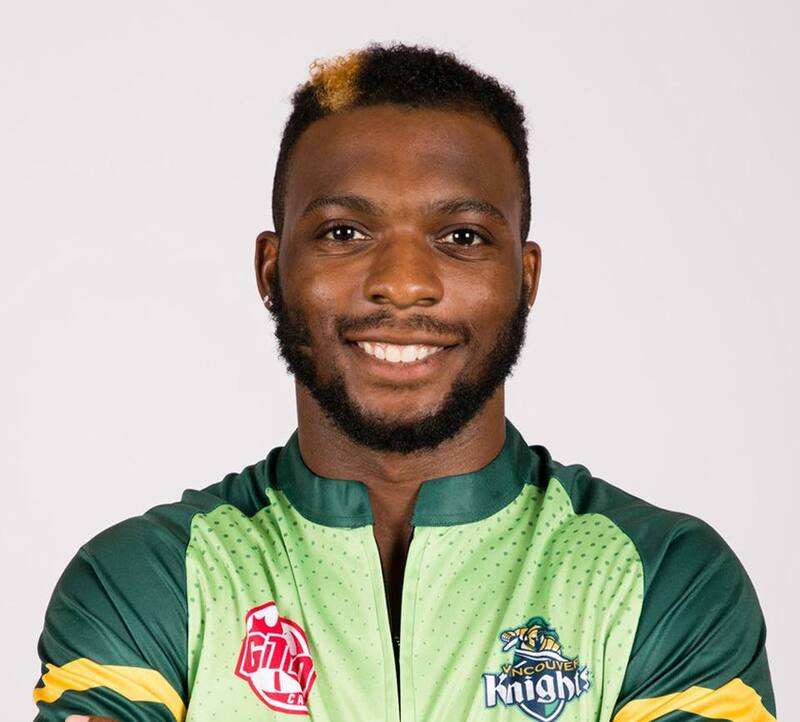 Kamau Leverock was in action for the Vancouver Knights in their 18 run victory over the Montreal Tigers in their Global T20 Canada match at King City. Batting first the Vancouver Knights would score 166/6, Hendrik Erasmus van der Dussen was the top scorer with a knock of 83, Leverock batting at the number 7 position would score 5 off 8 deliveries. Lasith Malinga was the pick of the Montreal Tigers bowlers with figures 4-0-41-3. In reply the Montreal Tigers were bowled out for 148, George Worker was the top scorer with 43, while Tim Southee was the pick of the Vancouver Knights bowlers with figures of 4-0-20-3, Leverock bowled 1-0-7-0.